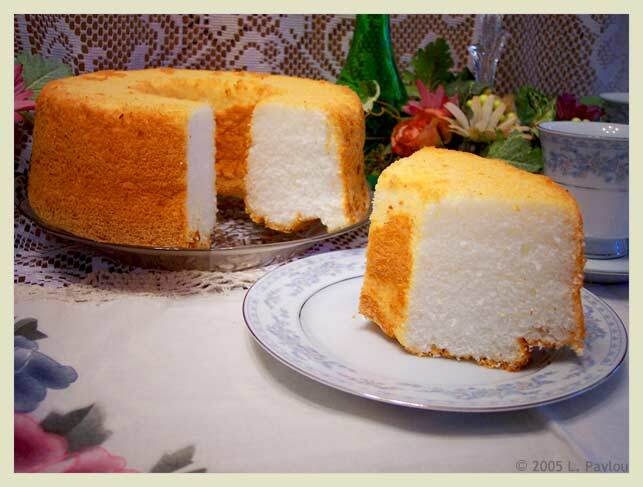 Our 13-ounce angel food cake is a large, traditional ring-style cake that measures nine inches across and almost four inches high. 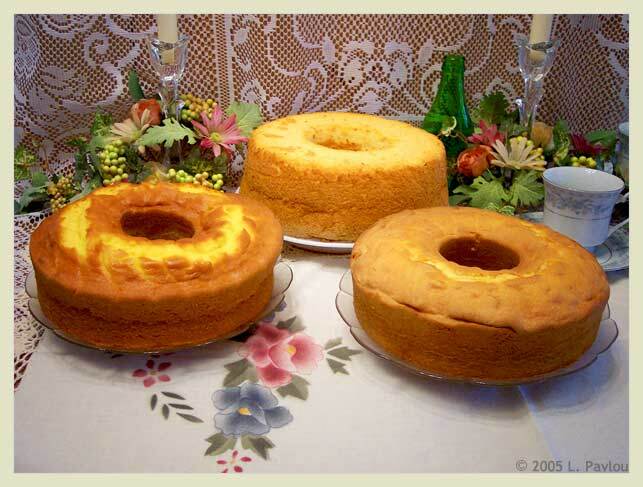 Many angel food cakes in the market are denser and smaller in size, which often results from using less expensive ingredients and highly-automated machining. 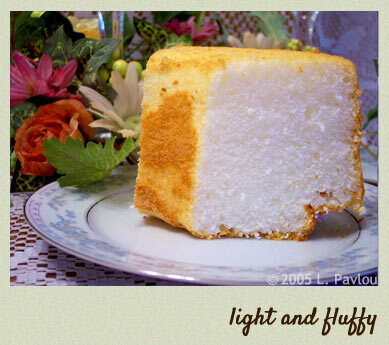 We use specially-modified production methods to create a light and fluffy angel food cake that is hard to rival. 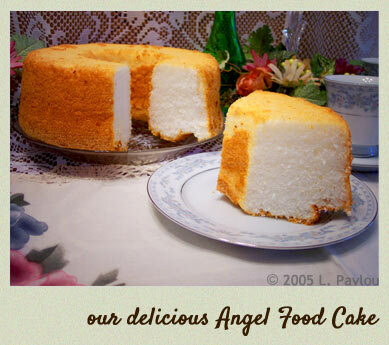 Fat free and cholesterol free, our angel food cake contains no vegetable oils or fillers to make it weigh more. Ingredients: Sugar, enriched bleached flour (bleached wheat flour, niacin, iron, thiamine mononitrate, riboflavin, folic acid), egg whites with sodium lauryl sulfate, wheat starch, sodium bicarbonate, acidic sodium aluminum phosphate with aluminum sulfate, fumaric acid, salt, monocalcium phosphate, cream of tartar, corn starch, natural and artificial flavor, cellulose gum, sodium propionate. Strawberry cake also contains: strawberries, corn syrup, crushed pineapple, citric acid, sodium benzoate, potassium sorbate, FD&C Red 40, Red 3, Blue 1, and sodium alginate. ALLERGEN INFO: CONTAINS WHEAT AND EGG INGREDIENTS. MAY CONTAIN TRACES OF TREE NUTS AND PEANUTS. 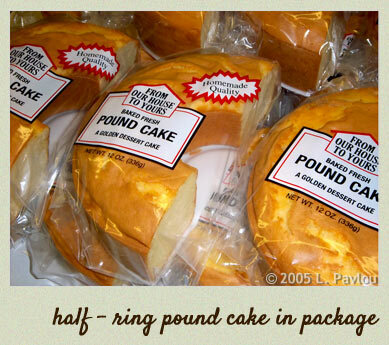 Our Home-style Delicious pound cake is available in a 24 ounce traditional full-size ring, and a 12 ounce half-ring. We have worked to perfect our recipe over the past two decades, to produce a delightfully fine-crumbed pound cake that is truly exceptional. 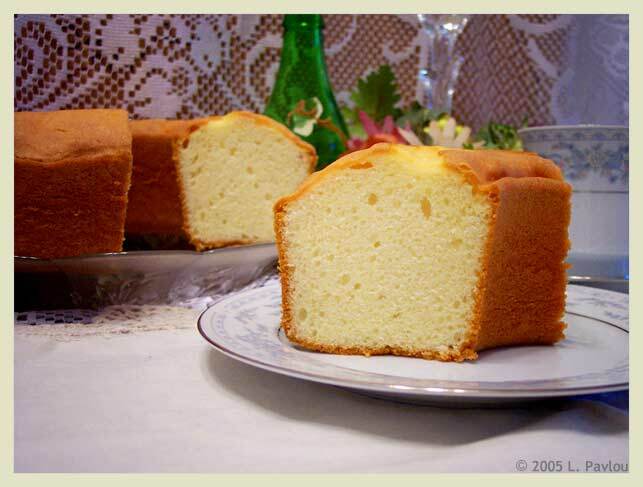 Superb taste, consistent appearance and stable shelf-life are the benchmarks of this delicious pound cake. Customers prefer the value they find in our cakes that offer exceptional taste while still being reasonably priced. We strive to contain costs through smart buying practices and innovative production methods, to offer affordable, home-made style cakes that increase profitability. Our high-quality products out-sell many other brands, and increase your profits with repetitive sales. Ingredients: Sugar, enriched bleached flour (bleached wheat flour, niacin, iron, thiamine mononitrate, riboflavin, folic acid), hydrogenated vegetable oil (cottonseed or soybean with mono- and diglycerides, propylene glycol monoesters and lecithin), nonfat milk, egg whites, egg yolks, sodium silicoaluminate, salt, natural and artificial flavor, baking soda, sodium acid pyrophosphate, sorbic acid ( a mold inhibitor), xanthan gum, monocalcium phosphate, sodium propionate, artificial color (FD&C Yellow 5, FD&C Red 40) soy flour. 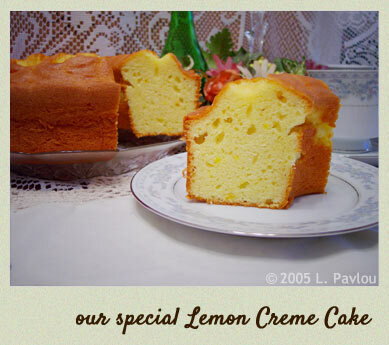 Lemon cake also contains: high fructose corn syrup, lemon peel, dextrose, citric acid, pectin, sodium benzoate, potassium sorbate, sodium citrate. Our Home-style Delicious sugar-free cakes will satisfy your cravings for delicious and tasty desserts that contain zero grams of sugar. Our sugar-free angel food and sugar-free crème cakes are packaged in a half-ring, and will surprise you with excellent flavor and texture. Our cakes meet wholesalers’ needs for products that increase their profitability, and improve their reputation for offering quality products. By providing undecorated, thaw-and-sell items in simple packaging, we offer excellence in taste and appearance at a market level price. In this way, we position our cake line as a better choice for the grocery store deli niche for repetitive sales. Ingredients: Maltitol, sorbitol, wheat starch, wheat flour bleached and enriched (wheat, niacin, iron, thiamine mononitrate, riboflavin, folic acid), egg albumen, leavenings (sodium acid pyrophosphate, sodium bicarbonate, monocalcium phosphate, sodium aluminum phosphate), salt, artificial flavor, sodium propionate, gum arabic and Maltotame Sweetener. ALLERGEN INFO: CONTAINS WHEAT AND EGG INGREDIENTS. MAY CONTAIN TRACES OF MILK AND SOY. Here's a few of our recommended recipes. If you need a special cake for a special occasion, feel free to call ahead for a custom-made pound cake or angel food cake. We can stir in a variety of fruit fillings and your choice of glaze or icing for a special treat! Of course, walk-in customers are welcome anytime you need a plain angel food or pound cake. Filling is stirred into the cake and then topped with a delicious glaze. Flavors include strawberry, marble, lemon or blueberry. Fruit-filled layers of angel food cake are topped with creamy whipped topping and lightly garnished. Flavors include strawberry, orange, banana, coconut and pineapple. Interested in Retailing Our Products? 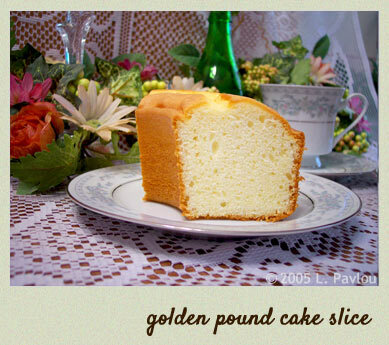 Fundraising is made simple and profitable with our specialty pound cakes and angel food cakes. These scrumptious desserts are perfect for obtaining orders that will help to meet your organization’s goals. Simply collect orders using our printed order sheet, turn in totals and arrange pick-up and delivery on the agreed pre-determined date. A percentage of the money collected belongs to your group. Chocolate batter and syrup are marbled together with milk chocolate chips and drizzled with glaze. A ribbon of creamy caramel is stirred in along with butterscotch chips and topped with glaze. 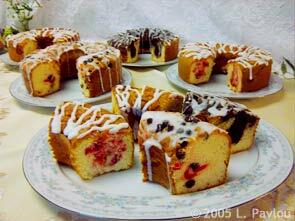 Strawberry fruit filling and white chocolate chips are swirled into the cake batter and lightly glazed. Bits of maraschino cherry are mixed into the cake along with special dark chocolate chips, and topped with glaze. A delicious blend of apple, cinnamon and oatmeal are stirred into the cake and topped with sweet crumbles and glaze. 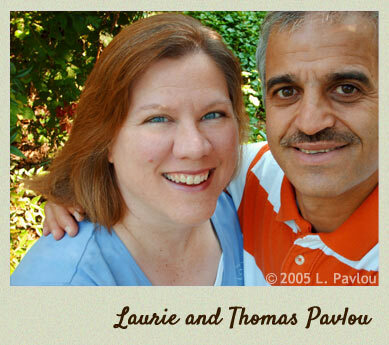 Established in 1988, T&L Baking Co. is a family-owned and operated baking company located in Cleveland, TN. We are proud to support our community by providing jobs in our local neighborhood, and partnering with area high-schools in their work-based learning programs. Our products are available at a reduced price for events benefiting local churches or schools, such as fall festivals, silent auctions, etc. We also donate bakery goods to local church, school and community events, as well as offer a variety of cakes for fund-raising opportunities. 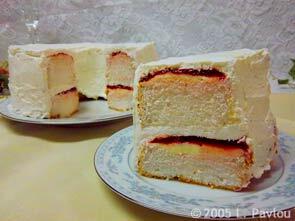 In the past two and a half decades, we have learned a few things about baking angel food cakes and pound cakes. Since opening our doors in February of 1988, we have constantly worked to perfect our products and to offer the best possible quality at an affordable price. As a family-owned and operated wholesale bakery, we are 100% committed to making our company work for you. We are passionate about our business, serious about our customers and fanatic about quality. Our cakes can increase your profitability and support your reputation for offering products of excellent quality. Let us put our experience to work for you! Come by our bakery anytime from 8am - 5pm and pick up a premium, freshly baked T&L Baking cake! We are looking forward to serving you the best Pound Cake and Angel Food Cake you’ve ever had!